Each year over a four-month period, Crown Council dentists, including Dr. Farnham, participate in the Smiles for Life campaign offering tooth whitening at less than their normal fee and donate all of the money you pay to children’s charities. One hundred percent of the cost of whitening is contributed to the Smiles for Life Foundation, the children’s charity organization of the Crown Council. Through a unique partnership with Crown Council and their Foundation, 50% of this money is then distributed to children in need throughout North America and 50% stays right here in Mitchell. How can you be sure that all of your money is donated? 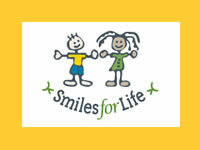 Because you write your check or have your credit card debited directly to the Smiles for Life Foundation!